Windy Kitty is a place to hang out, and get a really nice kitten fix – but it’s also a place where cats and kittens are saved. Each cat and kitten landing from Chicago Animal Care and Control (CACC) into Windy Kitty has been adopted, 100 percent! 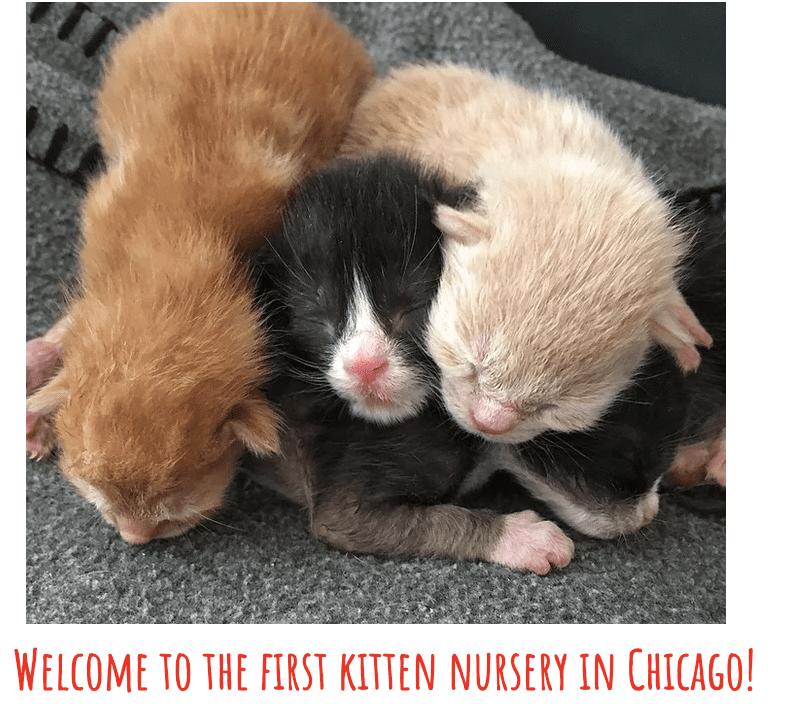 Jenny Tiner, owner of Windy Kitty, wanted to do more to help kittens – who require more TLC than CACC may be able to provide. She set out to raise dollars to build a nursery at the Cafe. When Purina heard about their efforts, they pounced on the opportunity. What’s more, Purina invited Dr. Colleran and myself to talk about kitten care and socialization, and Cat Friendly Veterinary Practices, supported by the American Association of Feline Practitioners. 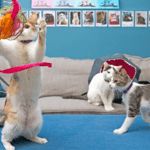 Cat Friendly practices are exactly what the doctor ordered for people who are cat crazy, as these practices have worked hard to go above and beyond to cater to feline specific needs, both medical and emotional needs. Purina has previously supported teaming up myself with Dr. Colleran to communicate Cat Friendly Practices to cat lovers, and also veterinary students. Tiner has made a pawful of additional seats available for the Sunday event. Tickets for “Treating Cats with a New CATitude” support kitten care at Windy Kitty and are only $10. In addition, all participants will receive a swag bag. And one lucky person will receive a Hello Kitty swag bag. Be sure to reply HERE very soon if you are able to attend. CHICAGO, IL—Many cats do not receive the health care they need, and unfortunately, many of them are also in need of homes. To address these concerns, there will be a special awareness event at the Windy Kitty Cat Café and Lounge. During the event, cat caregivers will have the opportunity to learn about kitten care and Cat Friendly Practices® from leaders in the field of feline health and welfare. 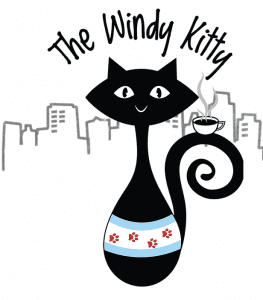 The Windy Kitty Cat Café and Lounge will provide cat lovers and caregivers the opportunity to socialize with 25 kittens in an effort to have them adopted. The event, “Treating Cats with a New CATitude” is sponsored by Purina, one of the Cat Friendly Practice® program sponsors. Cat Friendly Practices® are located throughout North America and the Latin Americas – there are currently over 1,200 recognized practices, many in the Chicago area as well. The main purpose of the program, which has a 99% satisfaction rate among members, is to cater to the cat’s unique behaviors and needs, and ultimately to decrease the stress of the veterinary visit for the cat as well as the cat caregiver. The program also decreases the stress of the veterinary team by providing the tools and resources needed to properly treat their feline patients. To locate a practice, cat caregivers can visit catfriendly.com/find-a-vet.